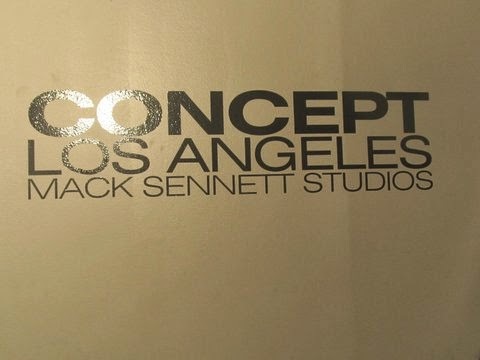 Concept Los Angeles is an all-day affair – starting at noon and continuing until 11 p.m. It’s easy to stay for a few hours (or the duration) because the program alternates between runway shows and informal presentations. The 4 p.m. presentation featured Aeneas Erlking and Ravish In Bounds. Zhou Erlking is a young, international designer known for her innovative, edgy, and artistic designs. Today she showcased some intimate looks from her Aeneas Erlking line. When the viewing was over the models had fun frolicking in the plastic confetti that lined the floor, and you know the men in the room just loved that. On the other side of the room the Ravish In Bounds collection included a number of edgy, deconstructed pieces with rebellious appeal. These cool, nonconformist looks were complimented by accessories from Dai Le.